Parents and teachers will love it too (and will likely learn something!) as their young ones read about our solar system's origins in an inviting, fresh, yet factual format. 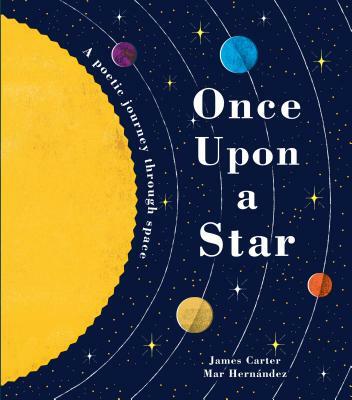 With art that calls to mind the era of the space race, the book is everything you need: hip, fun, engaging nonfiction for today's young scientists. JAMES CARTER is a poet, guitarist, and songwriter, and the author of numerous children's books where poetry meets science. He lives in England. Find out more about James's writing and music at jamescarterpoet.co.uk and follow him on Twitter at @jamescarterpoet. MAR HERNANDEZ is an illustrator and teacher based in Valencia, Spain. See more of her work at malotaprojects.com.